What's the right amount of leverage? Many traders often ask themselves what leverage is better to be used. They are not only newbies but also experienced investors who, being self-confident, want to make more profits and do it faster, so they try out various values of leverage. Let us remind that leverage is a certain amount of credit funds that a broker lends to traders in accordance with itstrading conditions. Leverage provides traders with an opportunity to open buy or sell deals and work with much bigger sums of money than they deposit. The size of leverage varies. 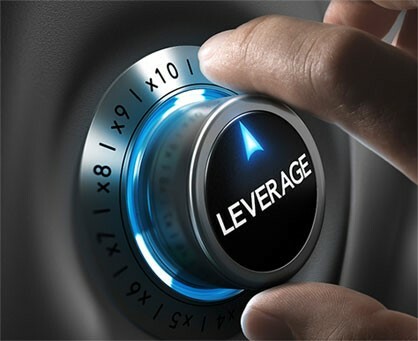 A broker offersa range of leverage values while traders need to choose what leverage suits them best. Additionally, leverage determines the trading manner: whether it is risky and intense or relaxed and easygoing. Risky traders can reap hefty profits but not regularly while calm traders can make moderate earnings but more often. In a nutshell, leverage is the ratio of traders' own funds to the funds that are traded on their account. This ratio is denoted in the following way: 1:100, 1:230, 1:125, and so on. The first figure stands for the currency unit while the second figure defines how many times a deposit is increased. For example, if traders deposited 200 USD and applied the leverage of 1:100, then they can trade with 20,000 USD. In fact, leverage is not necessary for trading on Forex, but the profit that can be received without borrowed money is comparatively smaller, especially if the initial deposit is not big. The thing is that prices of currency pairs change no more than 1% per day. At the same time, with the high chances to earn there are also high risks to lose. That is why the right leverage is really important. When tradersregister an account with a broker, they can choose from various leverage values. Usually, the values from 1:10 to 1:500 are offered. The most widely used leverage is 1:100, but risky or aggressive traders, employing the scalping strategy, for example, can try bigger values up to 1:300 or 1:500. Beginners on Forex should make carefully weighed decisions when choosing the leverage. At first, they are better to take on low risks, therefore applying low leverage. Naturally, initial profits are to be modest with a small amount of borrowed funds, but as traders gain experience, they can enhance their risks, thus increasing their earnings. Besides, the lower the leverage, the lower the risk of losing the whole deposit. In some way, it balances the loss/profit ratio. And here is another piece of advice for newbies: they need to test their trading system with the chosen leverage on a demo account at first, and only after that they can deposit to a live account. Additionally, traders need to check whether a broker provides an opportunity to change the leverage value after an account is opened, as some companies do not allow doing it, so clients have to register new accounts which is rather inconvenient. The key thing to keep in mind is that the size of your leverage should correspond to your experience in the market. If this condition is fulfilled, your trading will be successful from the very first day. Two factors can help beginning traders to choose the leverage that suits them best. 1. The appropriate leverage for trading on Forex. Most traders prefer using the ratio of 1:100. This factor implies high risks but also it can generate hefty profits. It provides an opportunity to open counter deals which can amount to 1% of the total trade volume. 2. Small leverage. It is mainly used for trading with big deposits (sums can come up to several thousand dollars). The recommended leverage in this case is 1:1, 1:10 or 1:50. This leverage value enables traders to attempt complex maneuvers and protects their deposits from losses regardless of price fluctuations. Besides, a broker may advise its clients what leverage is better to choose. The maximum leverage and opportunities provided by the broker also should be considered. 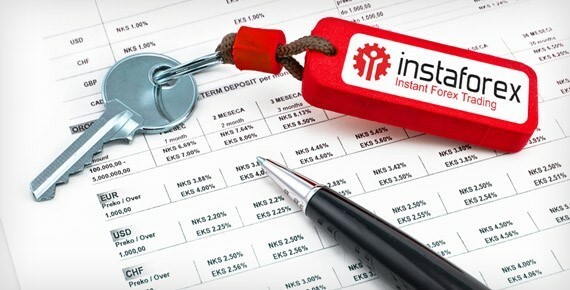 For example,InstaForex offers its clients a wide range of leverage values, including the most popular among newbies ratios of 1:100 and 1:500. 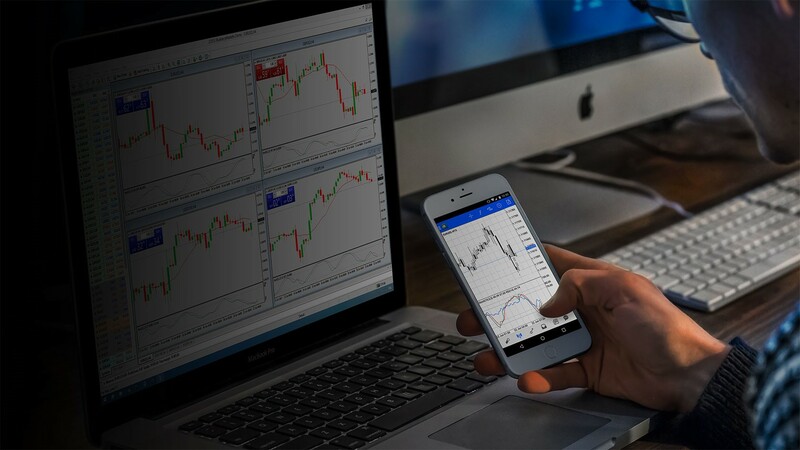 Importantly, the trading strategy that is being employed and trading conditions are the key factors for successful profitable work in the currency market. "If a trader decides to work on the intraday basis with a small deposit, they need to apply high leverage. Otherwise, potential losses in trading currency pairs are unlikely to be offset by potential gains,"analysts at InstaForex say. Before choosing the leverage on Forex, traders need to work with a small deposit at first. This way, they will learn how to operate in financial markets and analyze the price behavior. The most appropriate leverage for this purpose is 100:1. Let's analyze a specific case of a trader's usage of leverage to understand what size is optimal. At first, let us take the leverage of 1:100 as an example and see how the trading statistics of an account change. To open a deal of 0.1 lots, which is equal to USD 10,000 for the EUR/USD pair, traders need to invest the whole sum if they do not apply any leverage. However, in margin trading it will be enough to put in 1/100 of this sum which is USD 100. Thus, after traders open a deal of 0.1 lots with the leverage of 1:100, they actually spend only USD 100 while USD 900 remain on balance. This sum can be used to overcome a drawdown, increase the trading volume, or open another deal. So, having a balance of USD 1,000 and leverage of 1:100 traders can buy a whole lot (100,000 of currency units), while without leverage USD 100,000 will be needed to open such a deal. What will change if the leverage is increased to 1:1,000? All conditions remain the same for an exception of a change in the leverage. In this case USD 10 will be required to open a deal of 0.1 lot which is 1/1000 of the actual sum. Just imagine what opportunities traders get when they apply leverage. Having merely USD 1,000 they are able to open deals of several market lots. For example, it is enough to invest USD 300 with the leverage of 1:1,000 to buy 3 lots on EUR/USD. To put aside psychological factors, we should admit that an increase of leverage on Forex can influence only the size of a deal but it does not change the risk degree. Buying 0.1 lots with the leverage of 1:100 is the same as buying the equal volume with the leverage of 1:1,000. The only difference is the size of margin. Surely, high leverage opens up new opportunities for trading, but traders should be careful and refrain from using it to the full. It does not matter whether you choose the leverage of 1:100 or 1:1,000 if you have steel nerves. But if you are a hot-headed investor, then you'd better confine yourself to smaller leverage, for example 1:50 or 1:100.